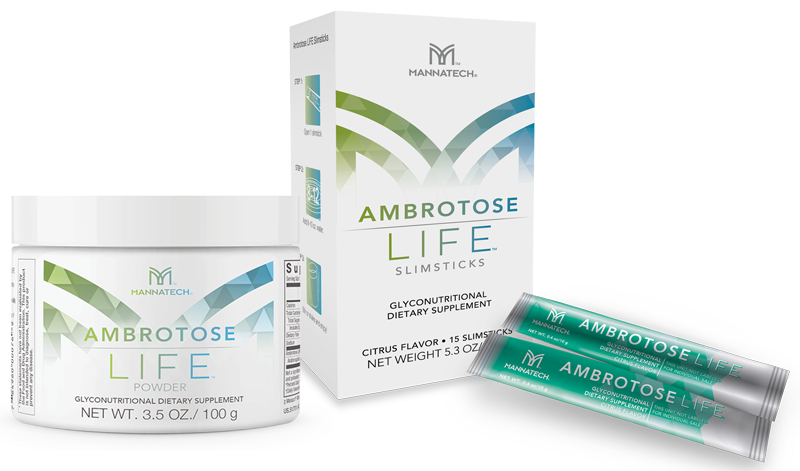 The natural, effective ingredients that go into Ambrotose LIFE powder provide vital compounds called Glyconutrients or glycans, which can be found in the glycoproteins on the exterior of each of the cells in your body. Healthy glycoproteins facilitate faster, better and more complete cell-to-cell communication. Are You Ready for More LIFE? Try it now, risk-free. If you don't feel a positive difference in your health within 90 days, we'll gladly refund your money. You can select Ambrotose LIFE in the unflavored canister or in convenient, citrus-flavored slimsticks. Don’t wait. Get the powerful benefits of Ambrotose LIFE working for you, now. © 1994-2018 Mannatech, Incorporated. All rights reserved.